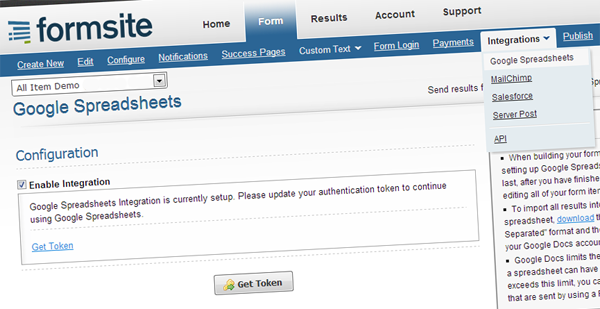 Posted on November 28, 2012 by Abhishek M.
We have enhanced our Authorize.net Payment Integration to support Automated Recurring Billing™ (ARB), which is a convenient and easy-to-use tool for submitting and managing recurring, or subscription-based, transactions. To use this, navigate to the “Form->Payments” page, click on the “Authorize.net” tab, set the Payment Location setting to “On form” and check the”Enable Recurring Billing (subscriptions)” box. 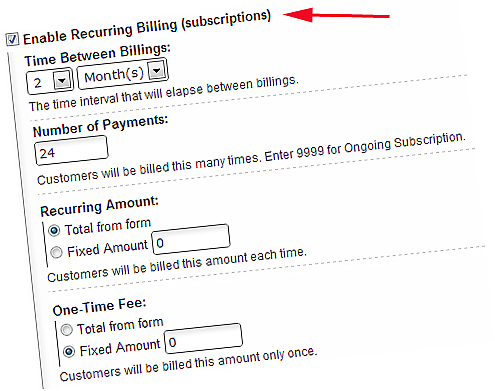 Then, specify the Recurring Subscription Schedule with the Time Between Billings (billing interval) and Number of Payments settings. Posted on November 28, 2012 by Bill O. 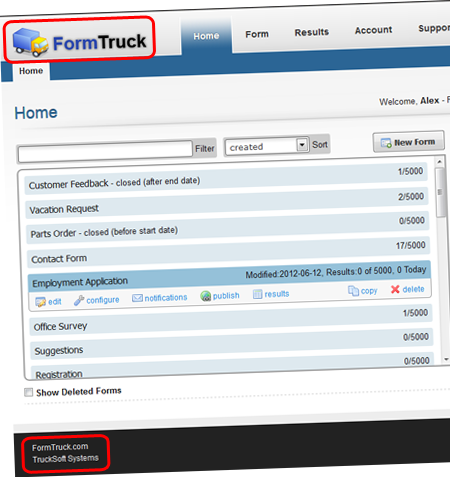 We have a new Look & Feel option to set rounded corners for form fields. With the arrival of Internet Explorer 10 and the decrease in older versions of Internet Explorer, we can now begin to offer more advanced Look & Feel options. Rounded corners will work in any modern browser. Internet Explorer 8 and below cannot support rounded corners. Posted on August 2, 2012 by Udaya A. You can now see the number of results that are submitted “today” (Daily Results) for a form and also the form’s last modified date. Posted on August 2, 2012 by Bill O. Everyone makes mistakes. When you delete a form, you now have up to 7 days to restore it. 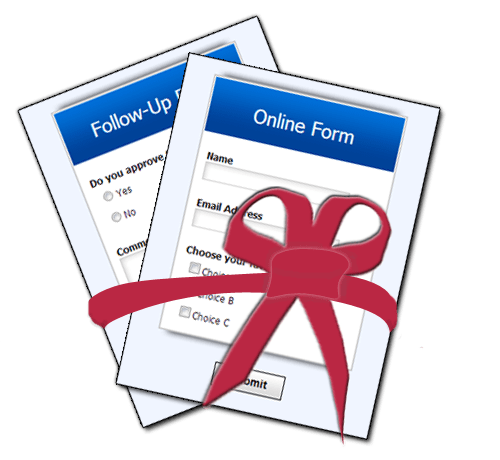 On your account’s My Forms page, see the folders dropdown list at the top-right of the forms table, then select Deleted Forms to show and restore any recently deleted forms. Formsite has a new choice editor for multiple choice items. Previously, choices were stored by position; adding or removing choices would cause data in stored results to shift, potentially causing inaccuracies. 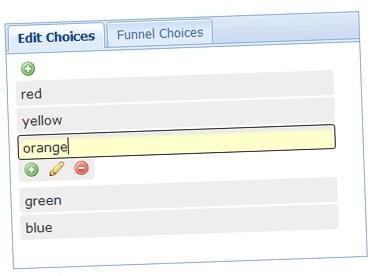 The new choice editor tracks choice changes and updates stored results accordingly. Posted on May 6, 2012 by Bill O. Have you ever needed your form to calculate a value based on a user’s input? 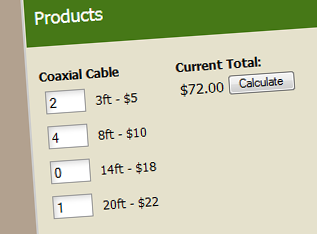 With our new Calculations feature, your form can now do this. For example, if you have a text field for “length” and a text field for “width”, you can set up an equation that multiplies these fields together to calculate a user’s square footage value. Our new Running Total item allows you to add running totals to your Order Forms. Sometimes you may want users to immediately see their current order total, without having to first complete the remainder of your form.